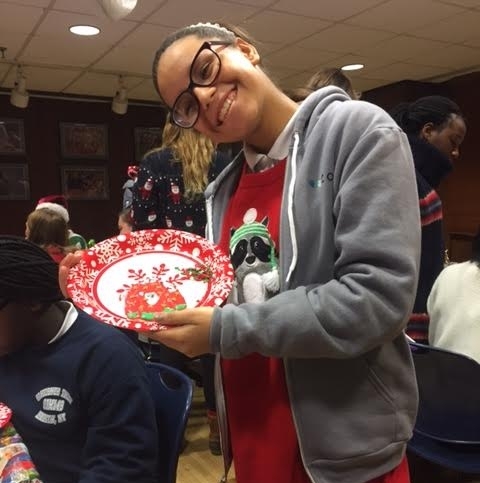 On December 9th, HLers from PS 149 had some early holiday fun with their big sisters from Columbia University Athletics Women's Lacrosse team. 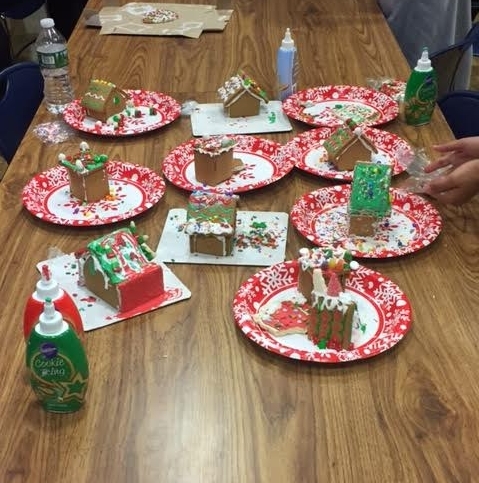 They spent their Friday afternoon bonding and making gingerbread houses and ugly sweater cookies together! Throughout the fall, Columbia players have volunteered their time to help out at PS 149 during study halls and practices. In addition, HLers and Columbia players have been paired together to send pen-pals letter back and forth. 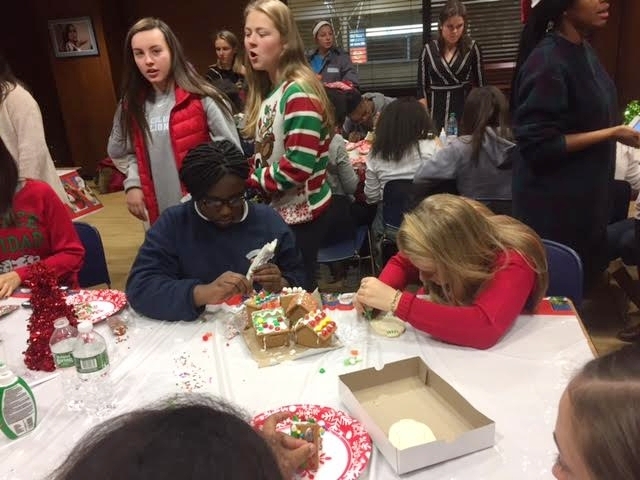 Both teams were all finally able to come together to spend the afternoon hanging out and doing classic holiday festivities together -- making ginger-bread houses and ugly-sweater cookies. We definitely have some future artists and architects on our hands! We can't wait to continue to write letters to each other and to cheer each other on during the spring lacrosse season!